I think this project may be my favorite new gift idea. 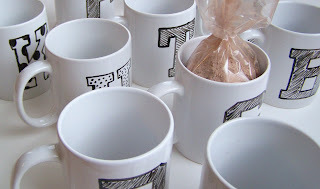 I love gifts that are personalized, affordable and easy. 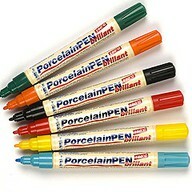 Porcelain pens were created to allow you to design, write and create whatever you wish on ceramic and porceain objects. You can purchase the pens are most craft stores, I purchased mine from Amazon for $9. You'll use the pen like you would on any object; allow it to dry for 24 hours and then bake in your oven at 300 degrees for 35 minutes. This allows the ink to become food safe and dishwasher resistant. 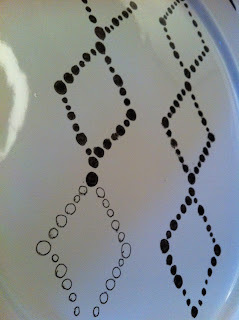 I designed a serving tray in just minutes flat with a stencil and my entire porject cost less than $25.00. 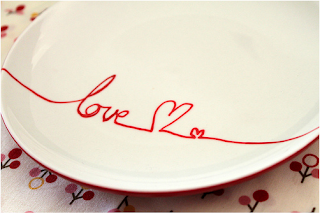 Allow guests at a party to write messages for the part recipient. Baby shower, bridal shower, birthday, etc. Give the children an opprtunity to get creative and design their own plates. Create custom coffee mugs for Mother's day or Father's day. 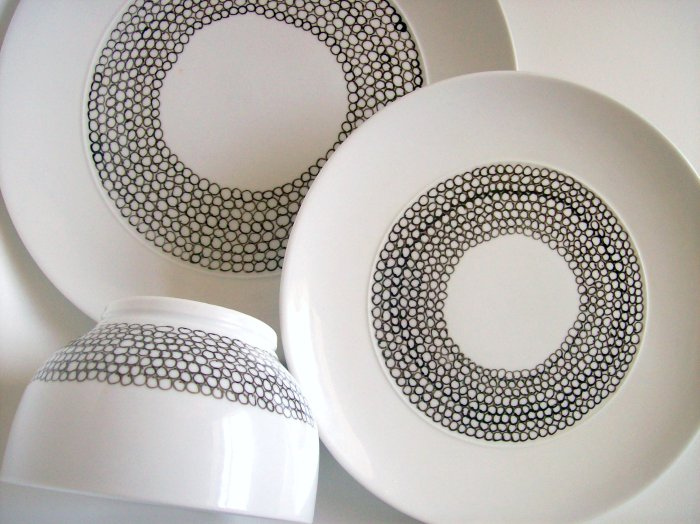 Design artsy plate to hang in your dining room. Label your ceramic storage containers. Make a piggy bank to remind you to save for something special.